Additional AcuraWatch™ (on select models) gives you continuous peace of mind while driving through Scottsdale. Check out our used inventory below and contact us with any questions you may have about the Acura ILX features. 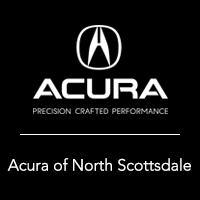 Why Buy Used From Acura North Scottsdale? There are a number of benefits to purchasing a used Acura ILX from Acura North Scottsdale including lower price, less depreciation value, better insurance rates and more. Our educated staff is also available six days a week to help get you behind the wheel for a test drive, to help with financing, or to answer any questions you may have! Come in today to explore the ILX interior or compare Acura models like ILX vs. TLX or ILX vs. Lexus ES.